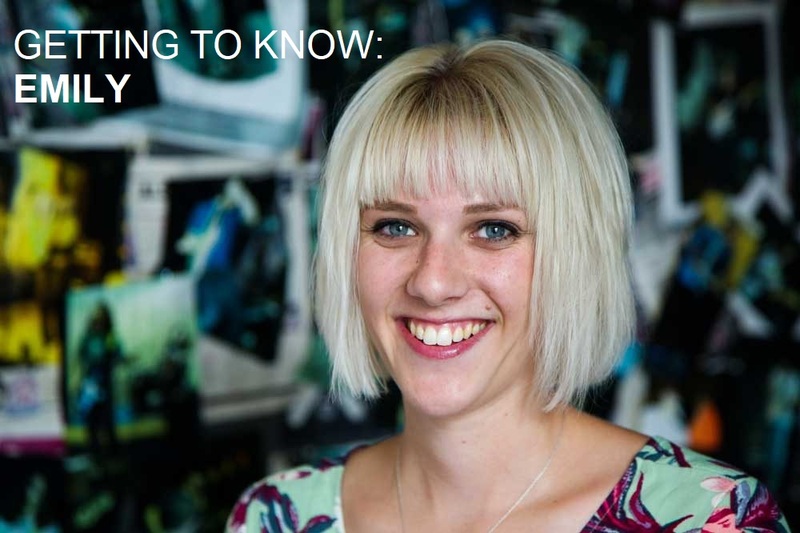 Next up in our ‘getting to know’ series is our junior creative designer, Emily Kaye. You may already know that she loves colour, but can you guess what she gets up to in her spare time? You’re in the right place to find out! Tell us a bit about your role at Harris. I’m a junior designer, which covers a bit of everything! I mostly do print work and social media graphics but I’m also involved in branding and web design which keeps my job varied and interesting. It’s great working as part of the Harris design team rather than just as an individual. How would you describe the culture at Harris? It’s super friendly – everyone looks out for one another and is there to help each other. I’ve never been worried about asking anything, and the great people make coming to work every day so much better. What are you most looking forward to in your role over the next year? I’ll be continuing with existing projects and I’m excited to get involved in new ones this year. I’m looking forward to learning new things and always working out how to resolve any design issues. When did you decide you wanted to pursue a career in design? I’ve always been interested in design, so I completed a foundation course at Leeds College of Art which was made up of a combination of disciplines, from animation to photography. Taking part in all of these disciplines made me realise I was much more interested in graphic and print design, so I went to university to study it. Did you pursue any other career before working in design? I worked in retail for six years while I was at school and university as a Saturday job but that’s it. I’m very lucky to have gone straight into design after finishing my degree. We know you’re a fan of colour, but can you pick a favourite? It definitely depends on my mood. Bright colours are usually my go-to and neon prints always make me excited! What do you like to do in our spare time? I like the outdoors – nothing beats a muddy walk and spending time with my family. I also love jigsaws because I’m actually an 80 year old in disguise! It depends on my mood, but I’m really not picky with food. My favourite takeaway has to be a good curry, and snack-wise I’m a complete chocolate addict. I’d love to do an American road trip at some point, especially a coastal one. I think it’d be such a fun way of seeing everything.